Something I've been meaning to do for some time but hadn't’ got round to ... until now. 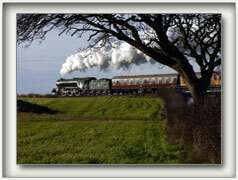 Brief video sequences snatched from footage I've taken during my visits to the North Norfolk Railway. More coming soon... I hope you enjoy them.